Donald Winnicott is currently the most popular author in contemporary psychoanalysis. His writings are cited in bibliographies even more frequently than those by Sigmund Freud. And yet how many mental health professionals have actually managed to read and digest the nearly twenty published volumes of Winnicott’s books, chapters, essays, reviews, and letters? 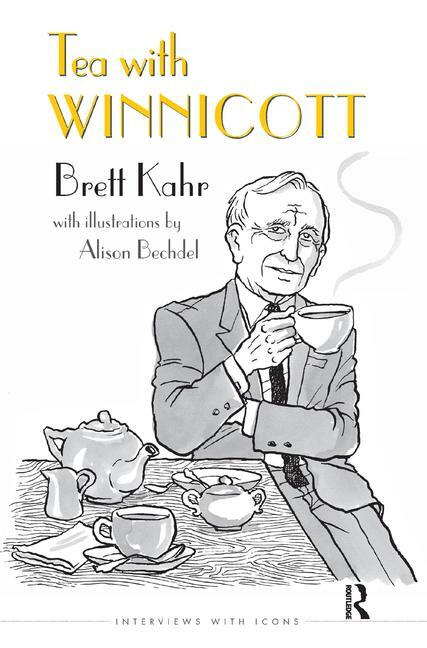 Lavishly illustrated by Alison Bechdel, winner of the MacArthur Foundation “Genius” award, with original drawings of Winnicott based on unpublished photographs of Winnicott from Kahr’s archive, this book will be the perfect guide for both students and scholars, and the ideal gift for colleagues. Brett Kahr is Senior Clinical Research Fellow in Psychotherapy and Mental Health at the Centre for Child Mental Health in London. He is the Chair of the British Society of Couple Psychotherapists and Counsellors at the Tavistock Centre for Couple Relationships, Tavistock Institute of Medical Psychology, and an Honorary Visiting Professor in the School of Arts at Roehampton University.